Aprilia has launched the 2017 Shiver 900 and Dorsoduro 900 in India at Rs 11.99 lakh and Rs 12.50 lakh respectively. These are introductory ex-Pune prices that will be effective until June 30, 2017 and on a limited number of units only. Thereafter the prices will be revised to Rs 13.32 lakh and Rs 13.83 lakh (ex-Pune) for the Shiver 900 and Dorsoduro 900 respectively. Customers can book the bikes at Piaggio Motorplex showrooms in Pune, Hyderabad, Chennai, Kochi and Bangalore. The bikes were showcased for the first time at the 2016 EICMA in Milan, Italy, where Aprilia revealed a host of updates that were made to both bikes' predecessor. The old 750cc 90° V-twin was updated by increasing the stroke from 56.4mm to 67.4mm while bore remained 92mm to result in a longer-stroke, 900c set-up. The motor produces 95PS at 8,750rpm and 90Nm at 6,500rpm. That's an 8Nm increase in peak torque; however, it is produced 1,500rpm higher than earlier. 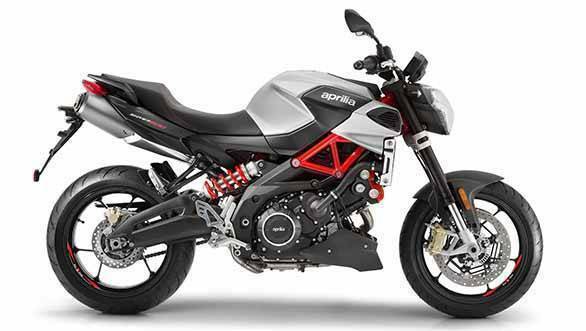 Aprilia says the new 900cc motor offers increased bottom and mid-range power, and the new exhaust system ensures the bike meets Euro-IV emission norms. Other common bits include a mixed, steel-aluminium trellis frame that has not received any updates. Both bikes also get a new 4.3-inch TFT instrument panel with a light sensor that adapts the background and font colour based on ambient light. 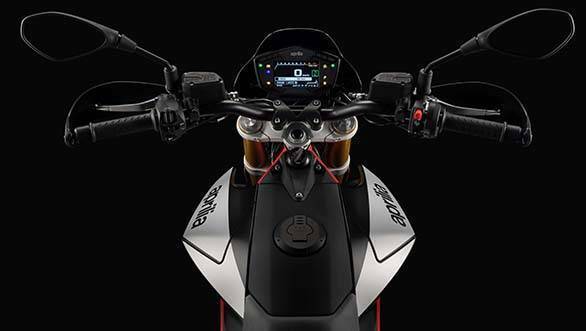 The optional Aprilia Multimedia Platform kit allows the riders to pair their smartphone to the instrument panel. The new Shiver and Dorsoduro also feature fresh three-spoke alloy wheels which are 2kg lighter than the wheels on the previous variants. The reduction in unsprung mass vastly improves the handling and agility of the motorcycles. Another area where weight savings have been achieved is the front forks. The 41mm Kayabas are 540gm lighter. The bikes also feature a new ride-by-wire system which Aprilia calls as the electronic accelerator. It is completely built into the throttle grip which results in weight savings of over half a kilogram when compared to standard ride-by-wire systems. The Shiver 900 gets an updated traction control system too. The Dorsoduro 900, on the other hand, gets three levels of traction control, which can also be turned off! In addition, it has three riding modes - Sport, Touring and Rain. 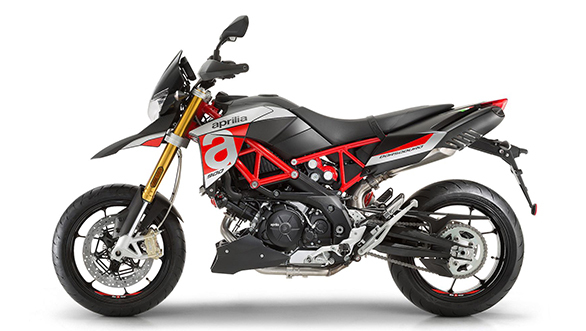 The new Aprilia Shiver features revised styling that looks sharper than its predecessor. The new bits include side covers on the fuel tank, side panels, tail fairing and front mudguard. The Dorsoduro 900 features new black-on-red colour scheme. Braking duties on both bikes are handled by twin 320mm front discs and a single 240mm disc at the rear, with dual-channel ABS as standard. Speaking about the new launch, Stefano Pelle, CEO and managing director, Piaggio Vehicles Private Limited (India), said that the new Aprilia Shiver and Dorsoduro will make the brand more accessible to Indian customers. He also said that the bikes reflect the racing heritage of the brand, and the riding experience is unmatched by any other product in a similar category.